My father held many jobs in his lifetime. For the last few years prior to leaving Vietnam he had a small portable sugarcane juicer. Back then he had to turn the wheel by hand to squeeze out the juice. I think that must have been one tough job, although he never complained. Nowadays juicing sugarcane is done by a machine and it is faster, easier and barely requires any human strength. 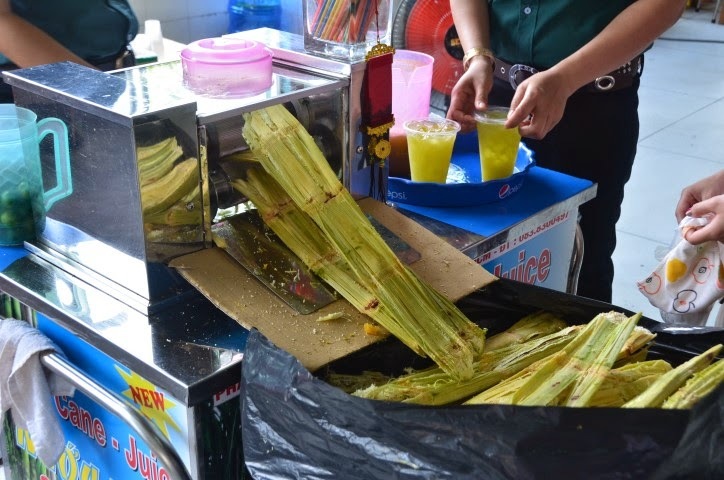 To quench my thirst in the hot tropical mid-day heat in Vietnam I enjoy sugarcane juice mixed with water and lots of ice. My uncle prefers sugarcane juice mixed with lots of lime juice. Some people drink it straight with ice but find this to be way too sweet and it makes me cough. Here is a drink that has some added lime juice but it is according to my taste. You can adjust the ingredients to your liking. 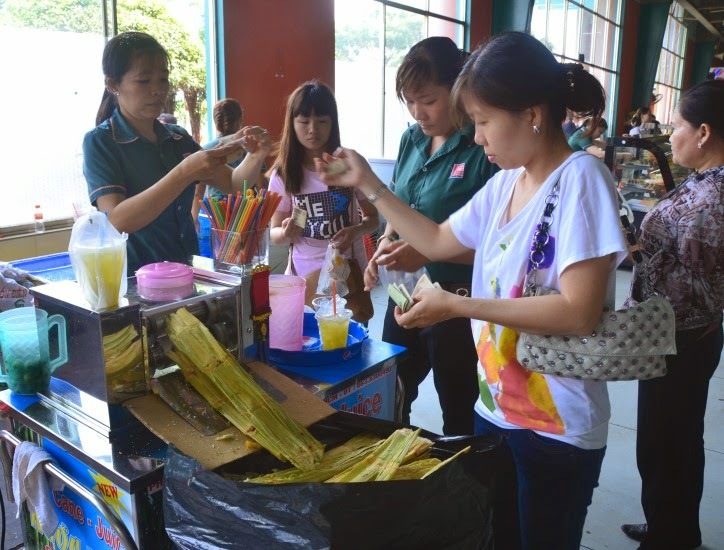 my cousin (Hui Chieu) purchasing some sugarcane juice for us. 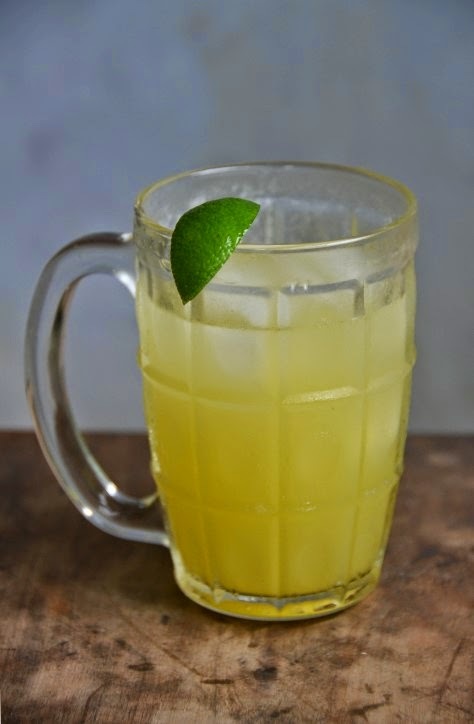 Mix sugarcane and lime juices. Add ice and enjoy. *My preference for sugarcane juice and water drink comes to a ratio of 3-4 parts juice to 1 part water.